If you like the idea of the little laptop that started it all, but need a little more workspace to keep your eyes from going all aesthenopia on ya, hold on to your wallets for a few more weeks. 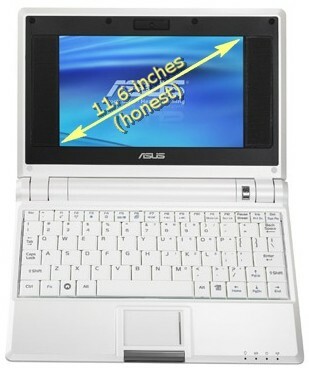 According to DigiTimes, ASUS is planning on releasing an 11.6-inch Eee by the end of the month, following up on its pledge made last year to do just that -- while simultaneously breaking Jerry Shen's promise to never surpass the 10-inch mark without creating a spin-off, "premium" netbook brand. But, with the 7-inchers relegated to their place in history, perhaps now the company has a little extra room on its production lines. No further information is available on the forthcoming model at this point, but we're hoping that new screen will get a few more pixels to fill out its new-found girth.